ALREADY LICENSED? 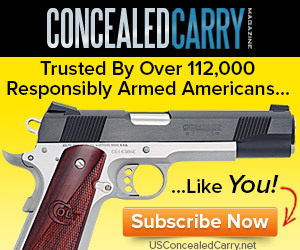 SUBSCRIBE HERE TO CONCEALED CARRY MAGAZINE, THE MOST COMPLETE PERIODICAL FOR THE CONCEALED CARRY LIFESTYLE. ARTICLES, PRODUCT REVIEWS AND HOW-TOS. Find & Review us on Yelp!